The drought, it is coming. 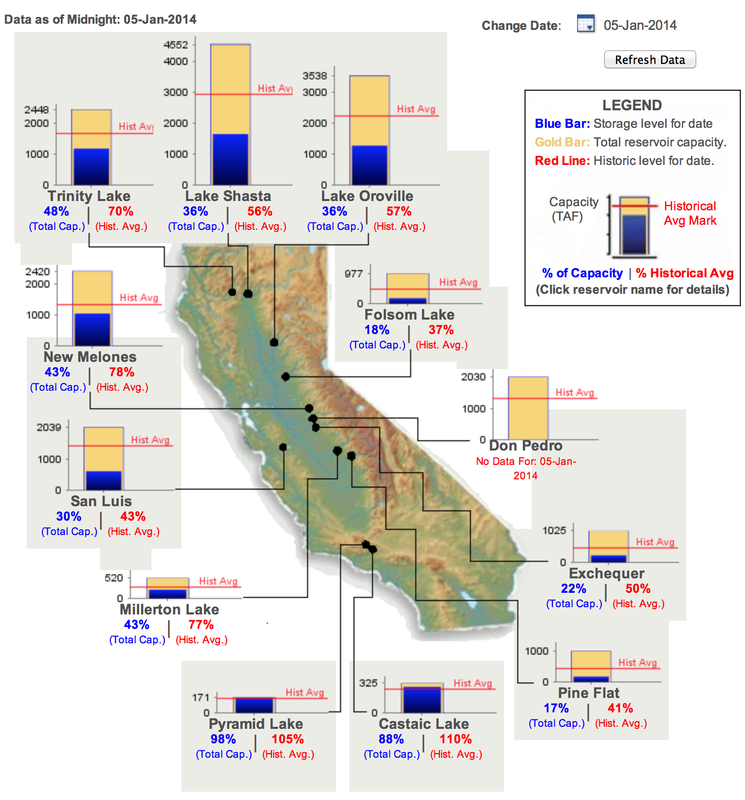 Rainfall totals for various Northern California cities in 2013 via the Mercury News. The dog days of reservoirs. 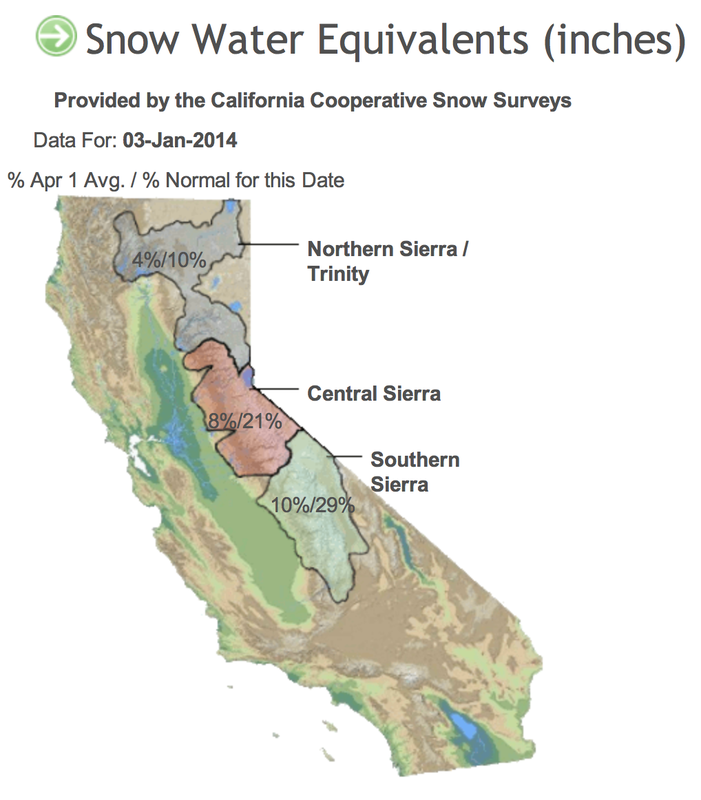 This is especially bad since we in California get the most of our water from the Sierra snowpack. Uh oh. Hetch Hetchy is a geo-engineering marvel, but you have to start wondering what happens when the Sierras start looking like Baja California. 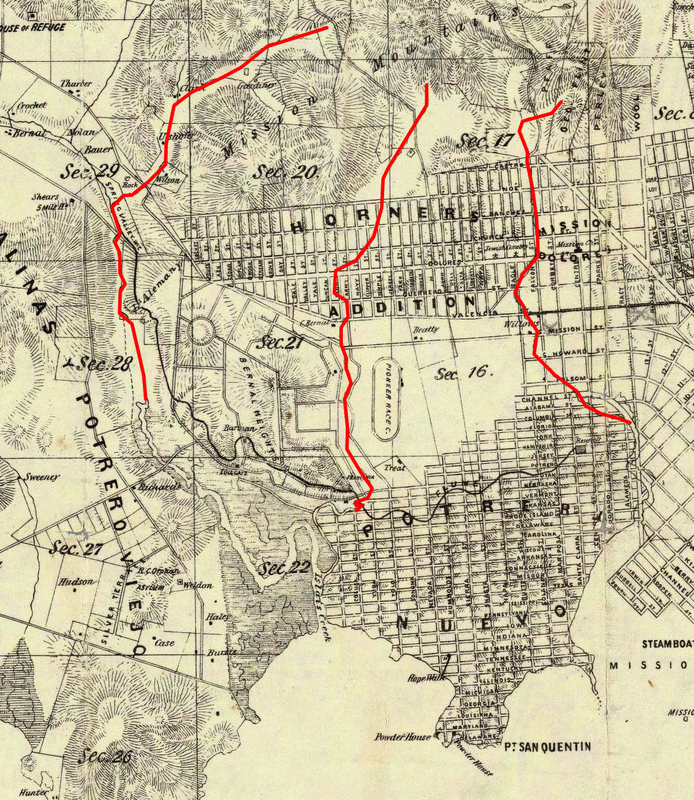 @mizmay reminds us that we actually have decent groundwater in SF. Of course, it’s always nice to have backups. 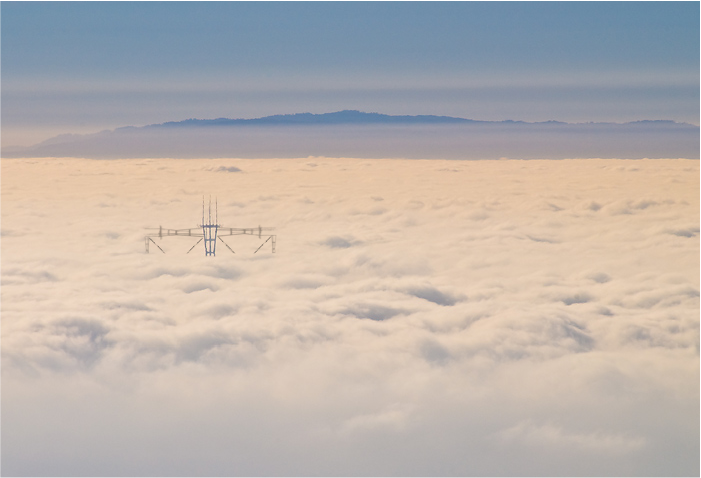 This is why I demand that Ed Lee immediate tap the aquatic reservoir that is… @KARLTHEFOG. There is a precedent to this in South America. 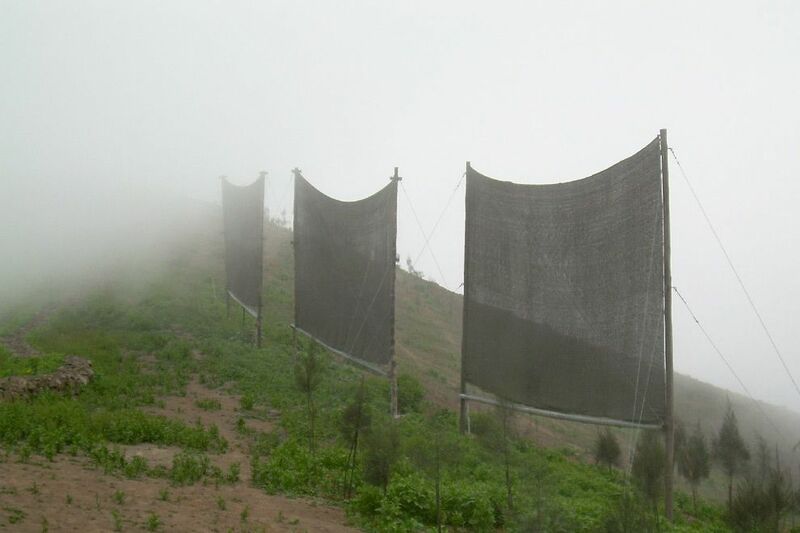 Residents of Lima are building “Atrapa nieblas“, or fog traps. On a good foggy day they can capture 150 gallons of water. = 9,518,205,000 grams = 9,518,205 kilograms = 9,518,205 liters = 2,514,440 gallons. That’s a sphere of water 43 feet wide, or a cube 70 feet on a side. 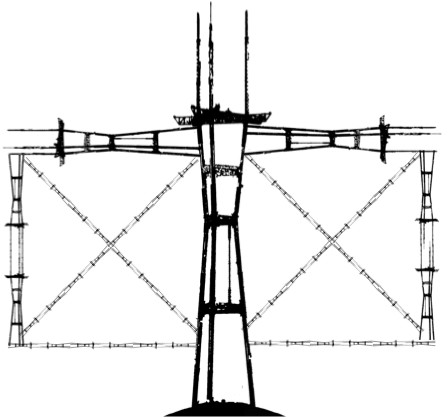 A quick calculation shows that with a surface area of 300 by 300 meters, and a 22 mph wind (10 m/s), our modified Sutro could catch 100 gallons per sec. Not too shabby, Sutro, not too shabby. If @karthefog is around for 12 hours, that’s over 4 million gallons! My building is on the stream that runs through Sanchez and “Temple” on your map. Normally by this time of year there’s a big permanent wet patch on the sidewalk from it but this year, nothing. Related question: do these streams empty into the storm sewer system now? The storm drains on that corner back up during heavy rains but I’m not sure if it’s that or just cause it’s a low spot. Just like the 80s! Except now I want to ski even more. Gosh darn it! Time to fill kegs at El Polin spring for the end times until you get Sutro up and running… Can we create reservoirs we can swim in on Twin Peaks? Windmills at the top of the tower to heat them? Or we just all wear stillsuits. I loved your post! I am currently working on a project with McCall Design Group in SF re-imagining the potential of the urban backyard if all fences and dividers were removed. Do you think that fog catchers would accumulate enough water in the Inner Richmond district to support public gardens? I’d appreciate your feedback and comments.